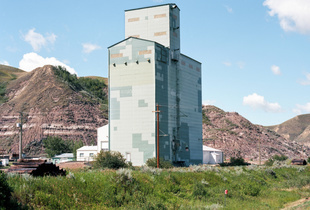 Kyler Zeleny (1988) is a Canadian photographer-researcher and author of Out West. His current photographic research interests deal with contemporary rural issues and how geography extends identity and creates community. His personal interests are in found photography, family albums and the politics of archives. He received his bachelors in Political Science from the University of Alberta and his masters from Goldsmiths College, University of London, in Photography and Urban Cultures. He is a founding member of the Association of Urban Photographers (AUP), a guest editor for the Imaginations Journal for Cross-Cultural Image Studies and a guest publisher with The Velvet Cell. Kyler Currently lives in Toronto, where he is a doctoral student in the joint Communication and Culture program at Ryerson and York University.